New Year’s Eve 1920, Casa Marina opened its door as Key West’s most glamorous destination! 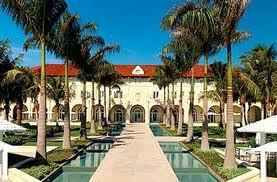 The resort was an idea of Henry Flagler, intended to accommodate wealthy customers of Flagler’s Overseas Railroad! During the 50s, Casa Marina reemerged as a luxurious favorite and hosted celebrities such as Gregory Peck, Ezio Pinza, Rita Hayworth, and Gary Merrill! Today, the resort’s 311 guest rooms have been renovated to include luxurious furnishings, modern amenities such as LCD televisions, iHome docking stations, and espresso machines. It is a true expression of Floridian splendor! The Old Town Trolley stops right at the front door. 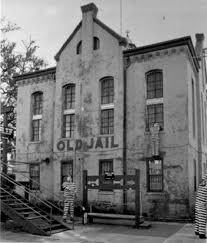 Have you ever visited the Old Jail in St. Augustine? Not only is the history of the jail captivating, but you have the unique opportunity of enjoying a guided tour through the sheriff’s quarters where he and his family lived next to 72 prisoners! Tour the cells, maximum-security areas, the gallows, and an exclusive collection of guns used in actual crime! You’ll be fascinated by stories of justice, crime, and punishment in America’s southernmost frontier! The Old Jail is one of the most haunted St. Augustine Attractions and you can actually stay the night in the Jail, if you dare!!! 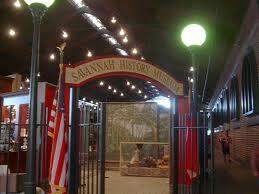 The Savannah History Museum takes you back in time from present day to 1733! Stroll through an abundance of exhibits that capture the lives of past people and events that have shaped Georgian history. Enjoy presentations like steam locomotives from Georgia’s Central Railroad to fashion displays that illustrate women’s wear from the 1800s to the 1960s! Among other historic items, browse through military uniforms, weapons, Revolutionary War displays, and the bench featured in Forrest Gump! Come learn about old Southern Savannah! The Church in Madison Square! 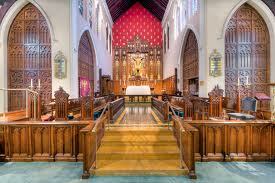 St. John's Episcopal Church in Savannah! Did you know that St. John’s Episcopal Church of Savannah was founded in 1840 to help increase the Episcopal presence in Georgia? When it’s large congregation began to outgrow the original building, the current building was erected across from the historic Green-Meldrim House, which is now the church’s parish house. It’s beautiful Gothic design with dark wood and rich colors welcomes thousands of worshipers and tourists alike. Come enjoy its quiet beauty and learn about its long presence in the Savannah community! Posted in Savannah | Comments Off on The Church in Madison Square! It’s a concept unlike any other in Boston. Located on a 9.5 acre site, the Copley Place Mall includes two levels of shopping, restaurants, four office buildings, 1400 parking spaces, and two hotels, The Westin Hotel and The Boston Marriott Copley Place! Located in the historic Back Bay area, it’s one of Boston’s most distinctive shopping destinations with 75 trendy and classic stores! Let Old Town Trolley take you there. Our stop #10 at the Copley Marriot is right there! Looking for a charming, vibrant neighborhood? 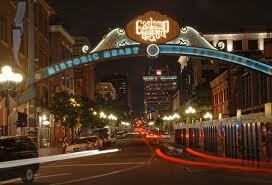 The Gaslamp Quarter has become one of San Diego’s most popular districts! Stroll through the historic streets lined with restored, Victorian-styled buildings, theaters, upscale shops, and fine dining. Take advantage of the finest antique shops, art galleries, boutiques, bazaars, and specialty stores. At night, enjoy the city lights, cafes, tea and coffee houses, and street performances! Posted in San Diego | Comments Off on Craving Some Victorian? Did you know that 32 million people pass though Washington’s Union Station each year? 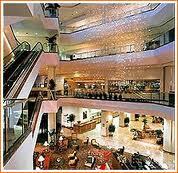 It’s the center of Washington DC and a leisure destination for many tourists. The train station is served by Amtrak, MARC, Washington Metro Subways, and the Virginia Railway Express Commuter Rail. It was opened in 1907 and during the height of its use in WWII some 200,000 people used it everyday! You are currently browsing the Old Town Trolley Tours Blog blog archives for September, 2012.